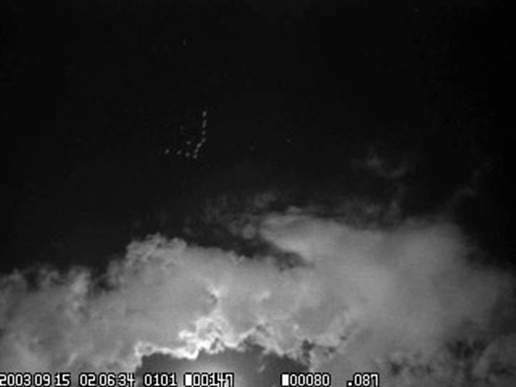 Birds appear as dots of lights in this still from a movie taken with the use of UFOCapture. UFO capture is motion capture software specially designed to film transient aerial phenomena. To view the video and learn more about this unique observation system visit sonotaco.com.